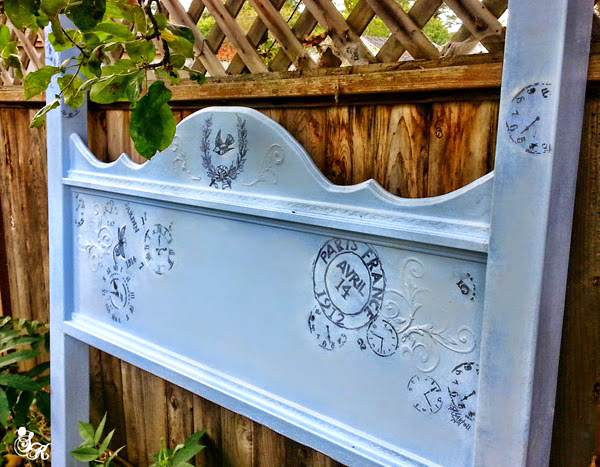 This morning’s reader feature is this beautiful French Blues Headboard, submitted by our friend SK Sartell. She stored away this headboard that was on its last leg for several years. The headboard was made out of faux birdseye maple, and tin. SK ended up taking the whole headboard apart, and rebuilt it. She then sanded the entire piece to get it as smooth as she could. This made it easier to paint the headboard with 3 coats of a Soft French Blue. 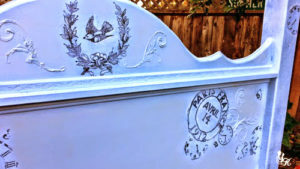 SK transferred my French Wreath with Bird Image onto the top of the headboard. 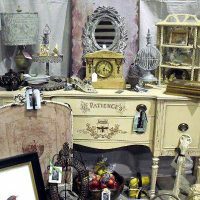 She created the knobs using curtain finials and many layers of paint. She finished the knobs off with 4 layers of polyurethane. 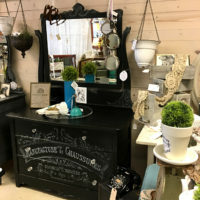 This piece is absolutely gorgeous! Thank you, SK, for sharing your talents with us! 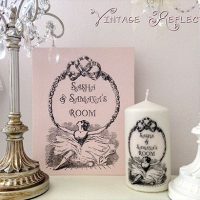 To visit more of SK’s projects, please visit her Blog site here. To learn how to transfer images yourself, visit the Transfer Methods Page. Tiu were so right, loving that gorgeous headboard. Guess it had to wait til she found just the right treatment for her head board. Incredible job on that. Will be gorgeous in a room with complimentary bedding. I agree , so pretty!